Doesn’t the devil lie in the direct and indirect narrations: Fifty states comprise the United States but The United States is comprised of fifty states? I’m not sure what you mean by the “direct and indirect narrations,” but both of those examples are wrong according to the traditional rule. Following the rule, you’d say that the fifty states are comprised in the United States and that the United States comprises fifty states. But the weird thing is that it’s perfectly clear either way, which is probably why this usage is so widespread. I might be a bit late to the party as this post is nearly a year old. But it’s interesting to note that this is just one of many reciprocal antonyms that are often confused. Other examples are “borrow”/”lend”, “learn”/”teach” and “scratch”/”itch”. What makes “compose”/”comprise” different from these other pairs is that they’re learned words, so the confusion is found not just in everyday speech but even in edited prose. Good point, Pete. The use of “learn” to mean both “learn” and “teach” comes from the merger of “learn” with the related word “lere”, which meant “teach”, but I think the others are simply extensions of one word into the other’s semantic space. But those others are all highly nonstandard. As you say, “comprise” is the only one found in edited prose. Is that a construct I’m not familiar with, or an error? Seriously? What do you think it is? I don’t guarantee typo-free posts, and I certainly welcome corrections, but there’s no need to be snide. Nice treatment of the topic. I realize that the usage is changing, but I will continue to use it traditionally (two different, though similar-sounding, words to signify different things) and to edit it out of text I encounter that has it wrong. 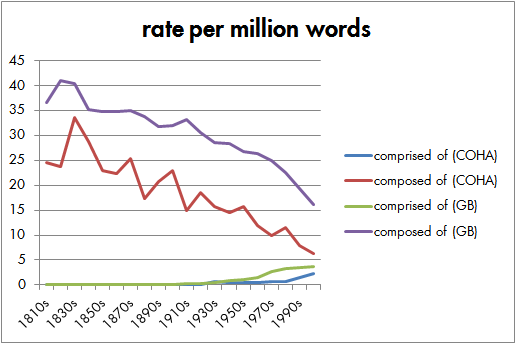 Given that you know you’ll attract nerds of the wordsmithing variety to this blog and that I know I am one, I can’t resist noting that “increasingly more common” is redundant, but you know that, and this is a blog and not every oversight will get cleaned up. Cheers. Dear Jonathon, should we ignore proper usage just because of some misinformed souls. Many people do not know the difference between ‘affect’ and ‘effect’ or ‘its’ and ‘it’s’. Similarly, in South Asia, ‘revert’ has become a synonym of ‘reply’ and ‘prepone’ an antonym of ‘postpone’. I believe rules should not be broken because of ignorance masquerading as popular or common usage. The real question is, who decides what’s proper? Who makes these rules, and how do they have any authority or efficacy separate from popular or common usage? Nice article. To respond to Arun, I share the frustration for the practice of building language out of misuse. But I’m also aware that the English language is rife with examples of that kind of mutation. (Ex. supposably and thusly) And there are many more whose meanings were solidified so long ago few know they’re born from ignorance. I think jbinsb’s approach is a good one. Correct it where you have influence. For good and ill, there’s no absolute authority over proper English. So we need to make our votes count. I have always viewed this confusion as one symptom of a broader degeneration of English grammar: people are increasingly avoiding any knowledge of the parts of speech. It is just too much work to think about that stuff. Transitive and intransitive verbs now, subjects and objects soon. 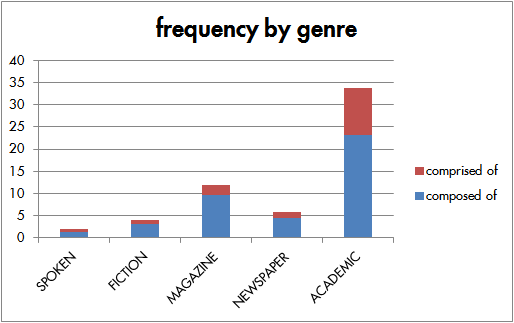 This is being spurred along by marketing (which began with “cigarettes tastes good like a cigarette should” and “to boldly go where…” and by news appearing on web pages rather than in print, where correct English apparently adds no credibility to a story and being first means everything. The language no longer supports the expression of finer points, and I believe we will eventually lose the ability to appreciate them.